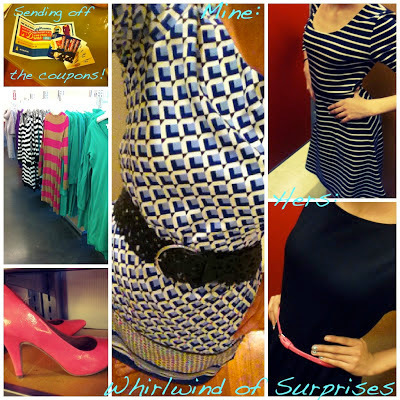 A couple weeks ago, as part of Old Navy's style council, I was able to have some fun in Old Navy! 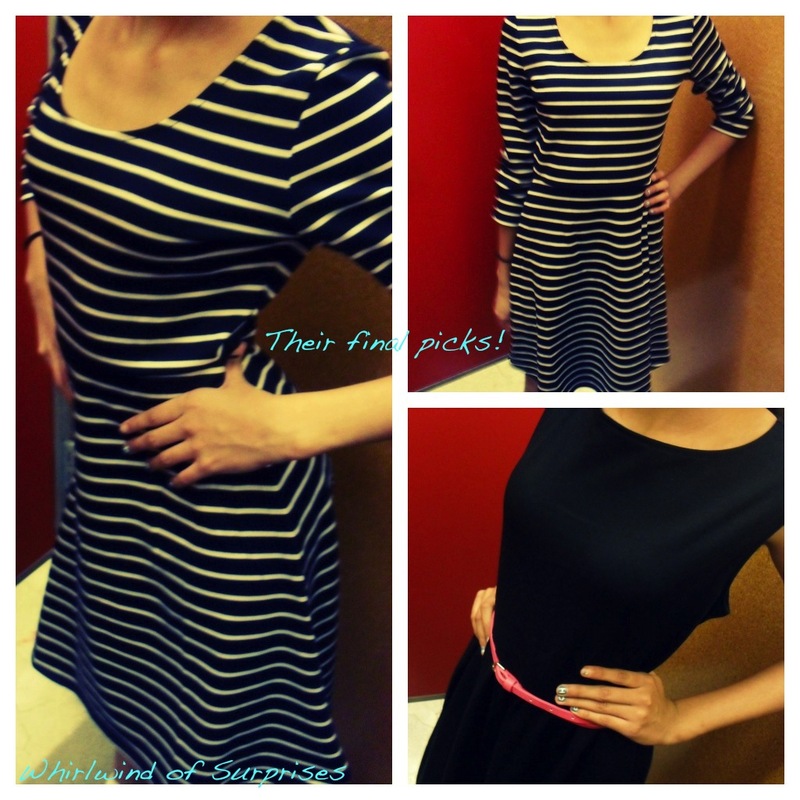 Who would've thought they had such cute fall and winter dresses? I ended up spending much more time than I had in the store...2.5 hours! So Old Navy had sent me two coupons, one for me and one for my friend. Since Krista from NYC Talon and I couldn't meet up to go shopping together, I decided to send her one of the coupons. She took her sister shopping and well, what would you know? It turns out friends and friend's sister all have similar tastes in clothing! Our stores were different but still had a great variety of dresses. Although the store Krista went to didn't have any of her sizes so being the great sister that she is, she let her sister get a dress instead. They loved the dresses so much that they ended up getting 2! See their shop pictures in the slideshow above. 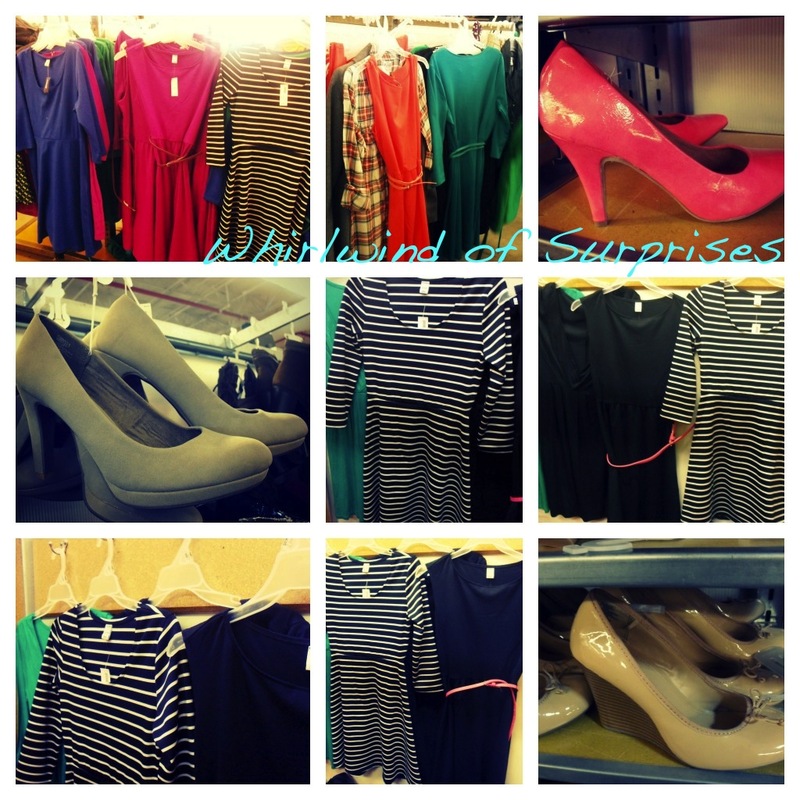 As for me, I was in dress heaven. Never did I think Old Navy would have such a variety! Look at all these dresses I captured. I ended up trying on about 10 dresses plus multiple on sale items. 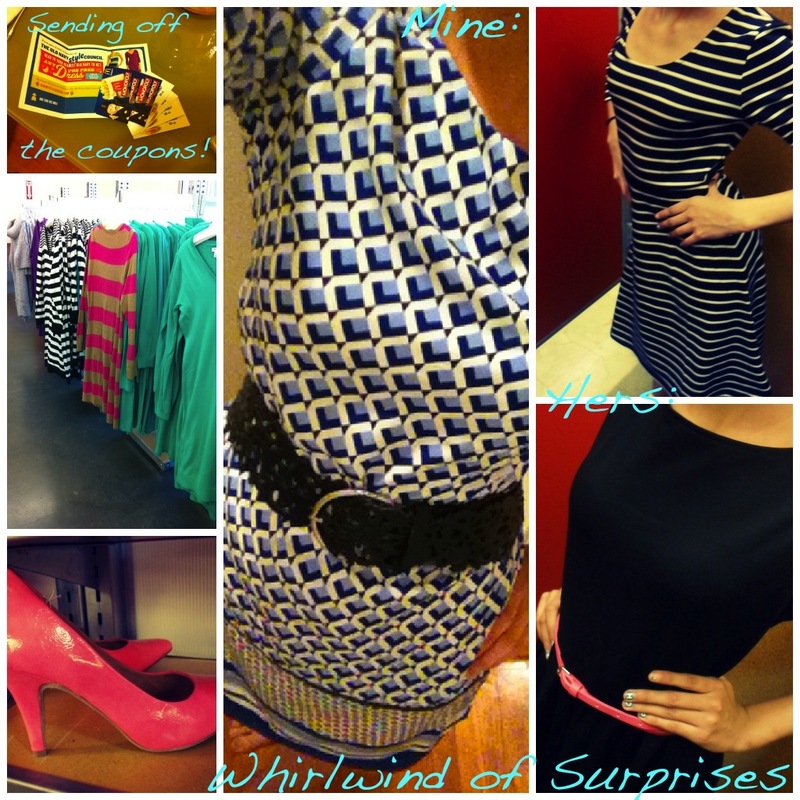 I was stuck between the black dress with the pink belt and the blue frock-like dress. I had a dilemma! The dress looked best on me as an XS but I couldn't move my arms! It had an inner lining and it just didn't want to give my big guns any space. Yep, I've got biceps! Haha, so instead, I decided to size up to a small, which was still a bit tight on my arms but much better. Unfortunately though, it ended up being much too big on my waist and well, you know how I fix those...a handy belt. What do you think? Should I have gone for the XS instead? The fabric on this particular dress will also wrinkle which I'm not so happy with. However, it was so pretty and I didn't have anything like it that I couldn't help it! It would've been perfect if the fabric stretched. Overall, I'm impressed with the fall and winter collection, there is just so much available! Actually, the SO is upset with me for not buying the black dress too because he loved the look on me. These are super cute! I don't wear dresses too often, but I would wear these! 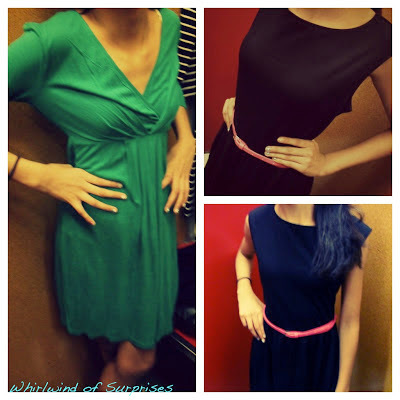 every girl needs a little black dress...you should go back and buy that one, too! Love the look of all of them! I love dresses but never wear them. And, I have a hard time finding any I really like. Thanks for sharing. WOW! I LOVE those dresses!! Almost all of them! I need to get to OLD NAVY fast!! Wow, those dresses are adorable. Makes me want to go shopping. Oh my gosh I saw about ten dresses there that I loved! They look so cute. The black dress is gorgeous in a simple way and even the horizontal stripes on the other dress are great. So cute. Love your slide show. I am getting ready to order a bunch of stuff for the winter from ON! Old Navy has really cute, affordable clothing! I love shopping there!